Thanks, Kerfe. 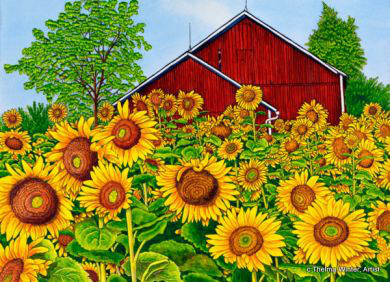 I wanted something that is a sort of tangent, almost as if the sunflowers (and rooster) are incidental to the overall scene. I like this added lines Ken. Makes it a nice tanka. This is lovely. The pics are real eye openers with their vivid colors. I love ths. I love the contrast of sight and sound, Ken!